RUN WALK PICNIC - The Zaman Run Walk Picnic | It's a Run, Walk, & Picnic in the Park! Entering its ninth year, the Zaman Hope for Humanity Run Walk Picnic is a day of fun and fitness for the whole family. It is also an opportunity to raise awareness and funds to support Zaman’s Michigan based programs which are committed to addressing the basic needs and empowerment of poverty stricken women and children, seniors and the disabled living in Michigan. It will be held at Ford Field Park in Dearborn, MI, on September 29, 2018. The day consists of timed 10K and 5K runs, a kids run, a 5K walk and a picnic with a barbecue lunch and family activities that include pony rides, a petting zoo, a basketball competition, face painting, a photo booth, and more. Visit our activities page to learn more about our runs and picnic events. Join us for a 5K/10K run, 5K walk and a picnic in the park! 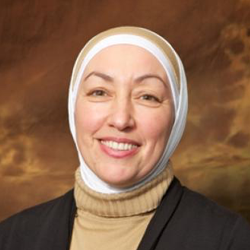 ​Najah Bazzy is a Transcultural Clinical Nurse Specialist and Diversity Specialist. She also is the Executive Director and Founder of Zaman International. She is CEO of Diversity Specialists and Transcultural Health Care Solutions. Bazzy has an extensive background in critical care nursing with special expertise in Cross Cultural health care, beliefs and practices. She is a global leader in Medical Ethics, Philanthropy, Nursing and Interfaith Dialogue and brings an ambassador style of diplomacy to her projects and life work. 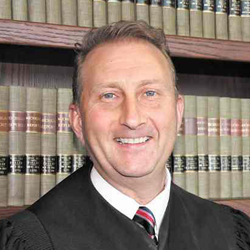 ​David Turfe is the chief judge for the 20th District Court in Wayne County, Michigan. He was first elected to the court in November 2006 and was re-elected in November 2012 for another six-year term. The Run Walk Picnic began with David's vision of a community picnic in 2010 and has grown to include a 5K walk and 5K, 10K and kids runs. David serves at the event chair. 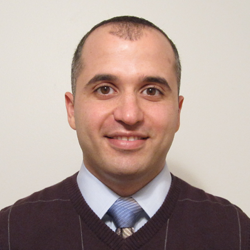 ​Ali Bazzi is a small business consultant and avid runner. Ali first served as a 5K run committee member for the 2015 Zaman Walk 4 Humanity and now serves as the Run Walk Picnic Event Director. Ali is also team captain for the Zaman Run Team and is in the process of becoming a certified RRCA Race Director.